The series will follow a group of girls who have survived some horrific stuff in their past. These women were all mysteriously brought together by some strange woman (Curtis), to talk and channel their fears in hope that some good will come out of their past. Tackling the horror genre seems to run in Jamie Lee Curtis‘ blood, who’s mother, Janet Leigh, brought the short lived Marion Crane from Hitchcock’s smash thriller, ‘Psycho‘, to life on the silver screen and was known as a scream queen. And we all know that Curtis started out in the scary ‘Halloween‘ films, which she was given the title scream queen as well. 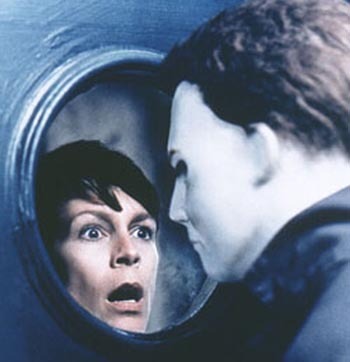 Note that Curtis and Miner worked together several years ago on ‘Halloween H2O‘, which this new series will mark the return of the duo working together. Curtis recently could be seen on ‘NCIS‘ AND ‘New Girl‘, not to mention she’s spent countless hours pimping lady yogurt to the masses. Talking about your bowels that often would make anyone want to head to their nearest slasher outlet. This entry was posted on Thursday, September 19th, 2013 at 10:06 am	and is filed under News, Television. You can follow any responses to this entry through the RSS 2.0 feed. You can skip to the end and leave a response. Pinging is currently not allowed. « ‘Evil Dead’s’ Fede Alvarez Will Take On ‘Dante’s Inferno’! !